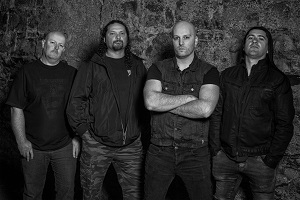 Tune in for a special 1000TH show edition of Screaming Symphony with a live to air performance from Melbourne's dark, epic prog masters, EYEFEAR. EYEFEAR are one of Australia’s longest running metal bands, blending elements of dark, epic, symphonic prog/power metal since 1994. Founded by guitarist Kosta Papazoglou and drummer Zain Kimmie, the band has endured numerous line-up changes throughout its existence, with Papazoglou and Kimmie serving as the only original members. Releasing their debut album, Edge Of Existence, independently back in 1995, it took nine years to release their second album 9 Elements of Inner Vision which saw the band signed to Massacre records in Germany. In the past ten years they've released two more albums, toured internationally and endured line-up changes, with the addition of new vocalist Riccardo Mecchi. Their long awaited fifth album is due for release in 2019. Tune in to Screaming Symphony for a Studio 5 Live with EYEFEAR. Proudly brought to you by Mountain Goat. Tune in to Sunglasses After Dark for a Studio 5 Live with Gonzo. Proudly brought to you by Mountain Goat. Tune in to Headhunters for a Studio 5 Live with On Diamond. Proudly brought to you by Mountain Goat. Listen back to Radio City for a Studio 5 Live with Laura Imbruglia. Proudly brought to you by Mountain Goat. Listen back to Firewater for a Studio 5 Live with Mono Deluxe. Proudly brought to you by Mountain Goat. Listen back to Pojama People for a Studio 5 Live with Sasquatch. Proudly brought to you by Mountain Goat. Listen back to Opalakia for a Studio 5 Live with Reβetien. Proudly brought to you by Mountain Goat. Listen back to Fang It! for a Studio 5 Live with A Place To Bury Strangers. Proudly brought to you by Mountain Goat.